Are you a huge fan of the skies and exhilarating plane rides? Now you can frequently charter for a Diamond Twin Star. This jet is particularly built for sightseeing tours on short range flights. It has Short Take Off and Landing (STOL) capabilities so you can take quick, weekend getaways and fly to remote locations or smaller airports. If you’re also rushing off to a meeting and you need to fly across town fast, this is also the plane to hop on. The Diamond Twin Star has a sleek form and interiors thus it lets flights become even more agile. A standard feature of most private charters includes WiFi. This way, travelers can still stay connected to their loved ones, friends and professional networks during over an hour’s worth of flight. To make the most of your trip on this plane, it would be best to ask about its features with your operator. 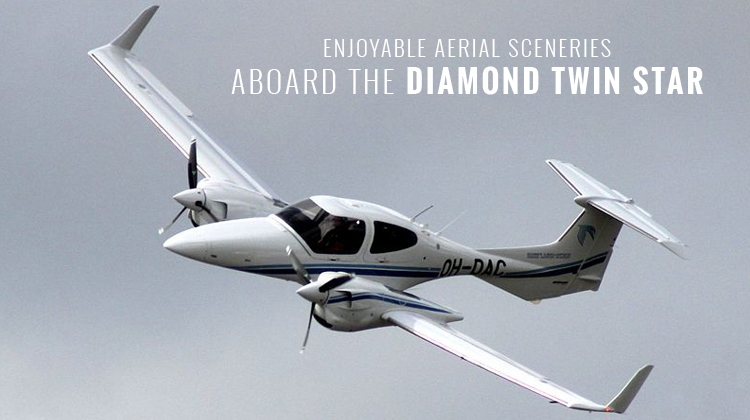 Take on beautiful sightseeing rides and book a private flight on the Diamond Twin Star today. By hopping on board the Diamond Twin Star, you’ll get to enjoy sightseeing even better. It has wide windows so you’ll have a clearer view of the skies, mountains, terrains and towns you’ll fly by. Cross country and regional flights are certainly possible with this agile jet. Charter for a private service with your chosen operator or pilot, and you can even request of which specific sceneries to fly over. Perhaps you’ve been touring in a remote location and you might find it a challenge to get home fast. In this scenario, you can also book for an on-demand flight on the Diamond Twin Star. Did you know the Diamond Twin Star can excellently function even during much colder weathers? Whether you’d like to have a sightseeing trip among snow-capped mountains or along lush, tropical forests, this plane can take you there. Flying enthusiasts have always found this aircraft quite enjoyable to hop on with its sturdy cruising speeds. The Diamond Twin Star is also powered by 2 Thielert Centurion 1.7 piston engines. If you’re coming from Ontario, Canada, you can fly on this plane and reach as far as Nassau, Bahamas or Regina in Saskatchewan. Since its first flight in 2002, the Diamond Twin Star has continuously been in production and used by various operators around the world. Civil operators also have the Diamond Twin Star among their fleet, as this aircraft is widely flown for surveillance, training and mapping purposes. Its military-based users come from Argentina, Russia, Thailand, Switzerland and many other countries. 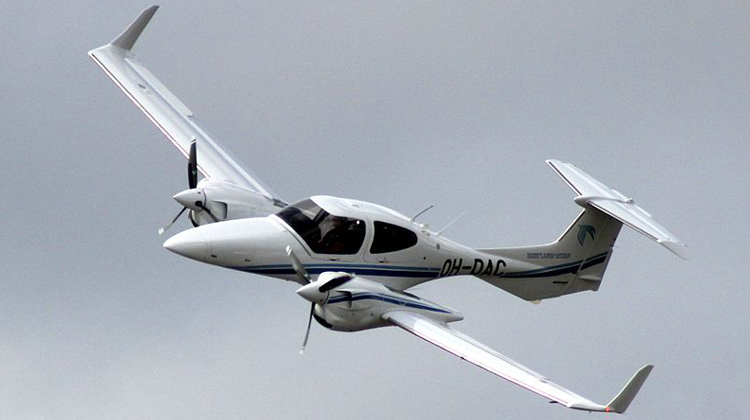 This plane is usually compared with the Piper Seminole and Beechcraft Duchess, but so far the Diamond Twin Star has a sleeker and modern look.